Obvious privacy concerns aside, the story surrounding NSA whistleblower Edward Snowden continues to captivate audiences. 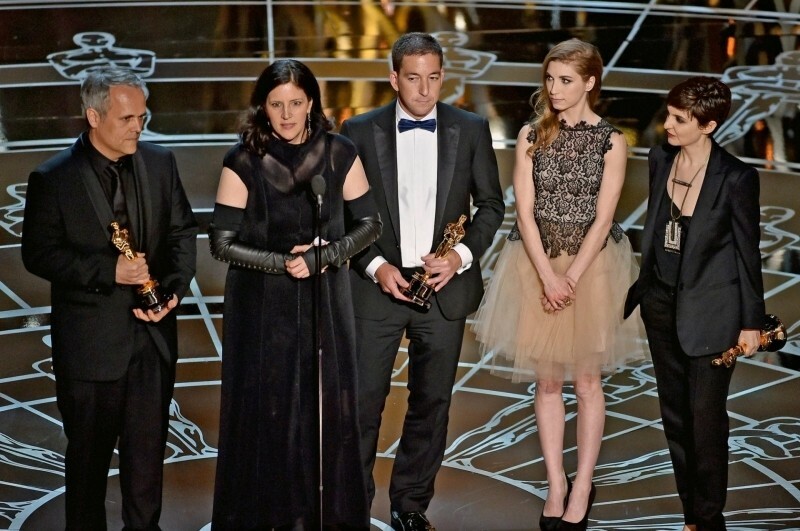 Citizenfour – Laura Poitras’ documentary on the subject – took home hardware for best documentary feature during the 87th Academy Awards on Sunday evening. Joining Poitras on stage to accept the award was editor Mathilde Bonnefoy, producer Dirk Wilutzky, journalist Glenn Greenwald and surprisingly enough, Edward Snowden’s girlfriend, Lindsay Mills. After the fact, Snowden said he was extremely reluctant when Poitras first asked if she could film his encounters but is grateful that he allowed her to persuade him. The result, Snowden continued, is a brave and brilliant film that deserves the honor and recognition it has received. In related news, it has come to light that Oliver Stone will direct a biopic of the NSA whistleblower. The lead role in Snowden will be played by Joseph Gordon-Levitt who will be working alongside the likes of Timothy Olyphant, Rhys Ifans and Joely Richardson. If the recent Golden Globe win is any indication, moviegoers will likely flock to theaters in anticipation of seeing this fascinating tale play out on the big screen. The film is expected to hit theaters on Christmas Day of this year which just so happens to be one of the industry’s busiest days of the year. As Slashfilm notes, it’ll be going up against stiff competition including Will Smith’s NFL movie Concussion as well as Alejandro González Iñárritu and Leonardo DiCaprio’s frontier saga The Revenant. Star Wars: The Force Awakens will also be in its second week at that time.